Two newsletters to mention: one you should of seen already and one that will be with you very soon. 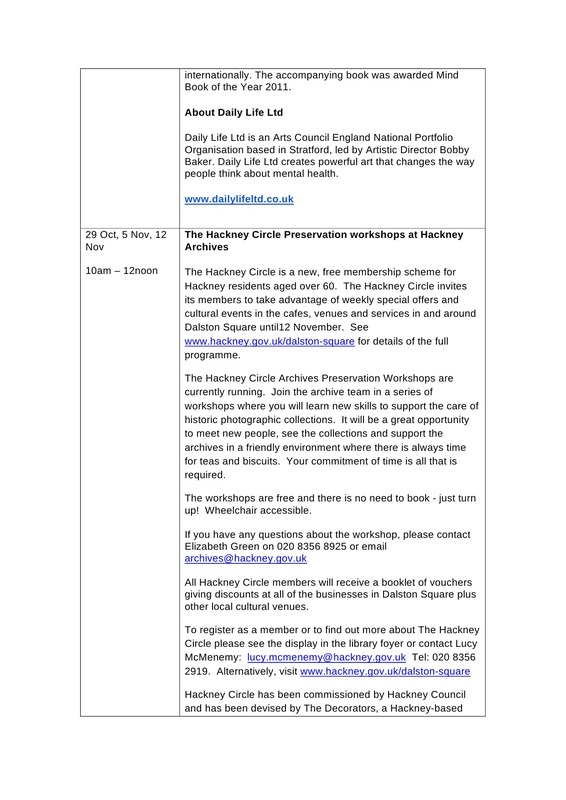 The first is the 5th in the series from Hackney Council’s Cultural Program Officer Lucy McMenemy. Everyone in the development should have received a copy in their post-box but if you missed it you can download a copy from our discussions forum HERE (if you are happy to simply view it in your browser simply look for the thumbnail images at the bottom of this post). 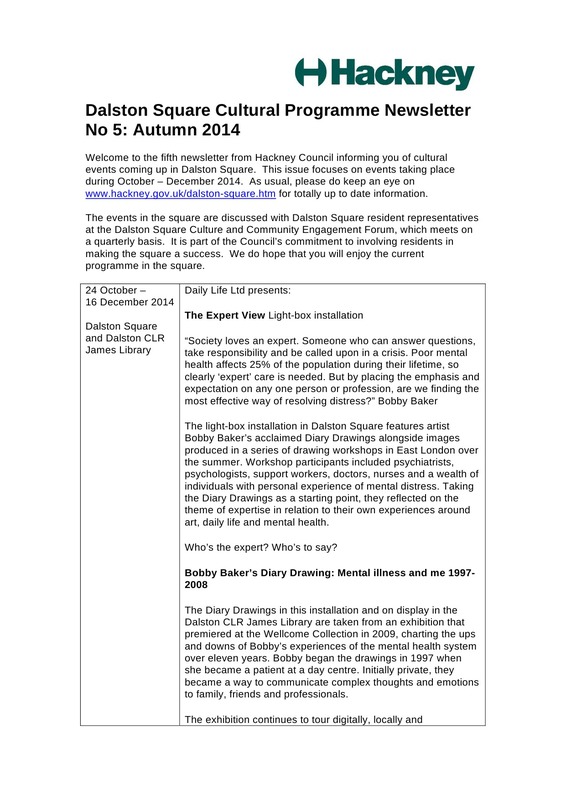 This ‘Autumn’ edition gives more info on the light-box installation currently in the square, plus news of upcoming events. 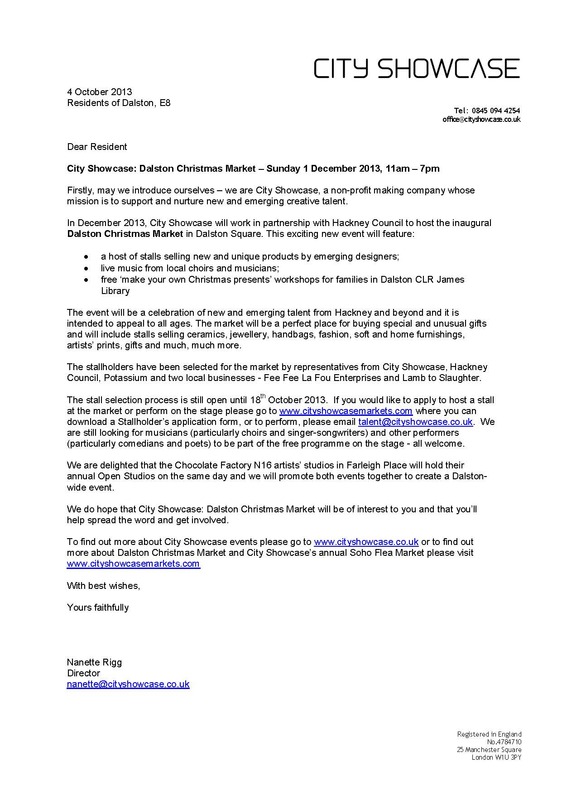 Also one sad piece of news: After the success of last year’s City Showcase Christmas Market, they have decided they need more space than the square has to offer and so will not be coming to Dalston Square this year. 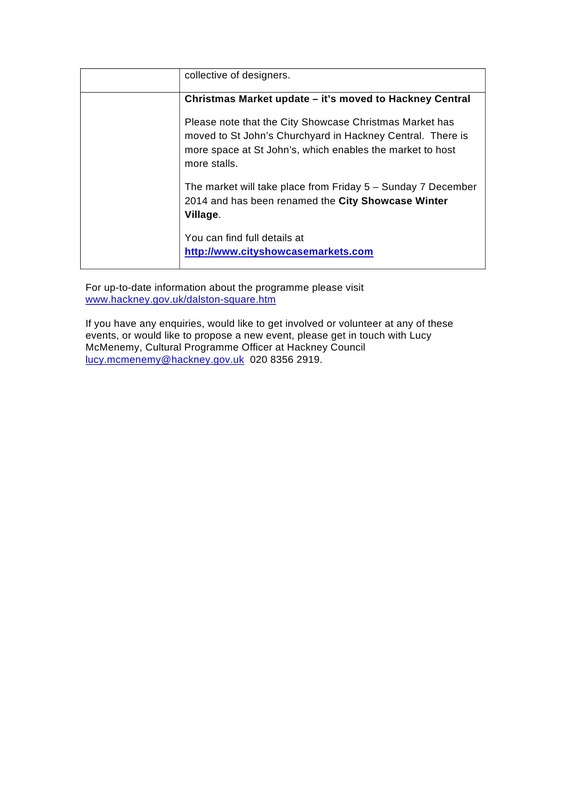 Instead they will be moving to St. John’s Churchyard in Hackney Central and re-branding themselves as City Showcase Winter Village. Disappointing news but we wish them lots of success. The second newsletter, from the DSRA (Dalston Square Residents’ Association), is being completed now ready for printing, and could be in your post-box as soon as next week. I will not go in to detail here until it has been posted out, other than to mention one issue it covers, namely the DSRA Christmas social. Every year we hold a social event for residents, an informal get-together to meet your neighbours, and a chance to meet those involved with the DSRA and help us get some views and feedback. In the past we have held early evening, family parties with candles, lanterns, mulled wine, and music: Last year it was held in the greenhouse of the Eastern Curve garden, previous years it was held on the roof terrace of Gaumont Tower with it’s spectacular views of East London and beyond. We could do either again, but new ideas are also welcome. 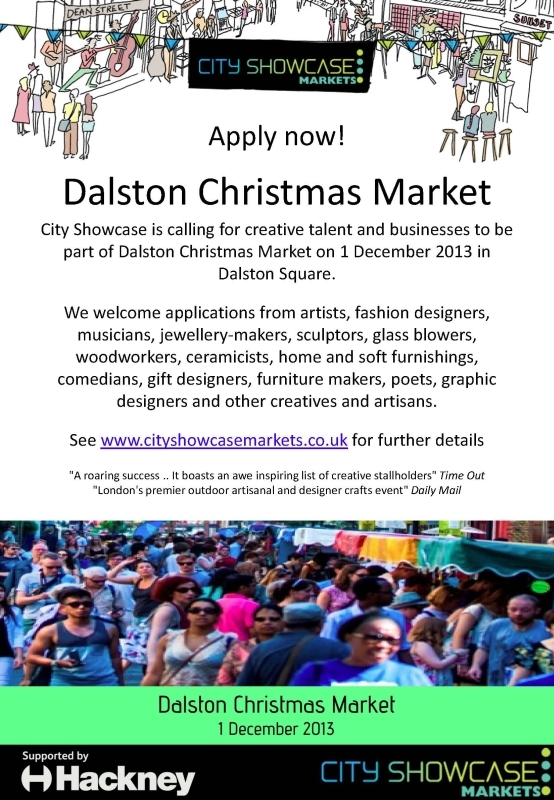 Anyone with an alternative idea, or who would like to help with organisation, please get in touch via the comments section immediately below this post or by email to DalstonSquareRA@gmail.com. If you are interested in downloading and reading these documents, and giving feedback to the council on them, click through to THIS webpage. The closing date for submissions is November 7th. 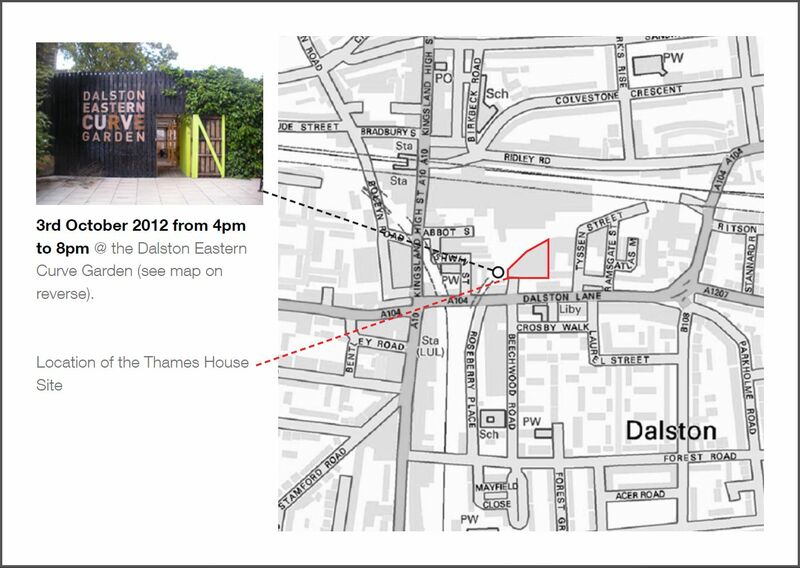 As any resident who own’s a car, or has visitors who own one, will know, parking in and around Dalston Square can be an expensive nightmare. It was planned to be this way right from the start: To boost the green credentials of the development it was agreed between Barratt Homes and Hackney council that no resident would be eligible for a permit for local street parking. Add to this the fact that over half of the development sits above a rail tunnel, greatly limiting underground parking solutions, and you see why available parking is at a premium. A ray of hope then for those in need of a parking space that the issues surrounding the spaces on the ground floor of the southern end of phase 3 buildings have finally been cleared. 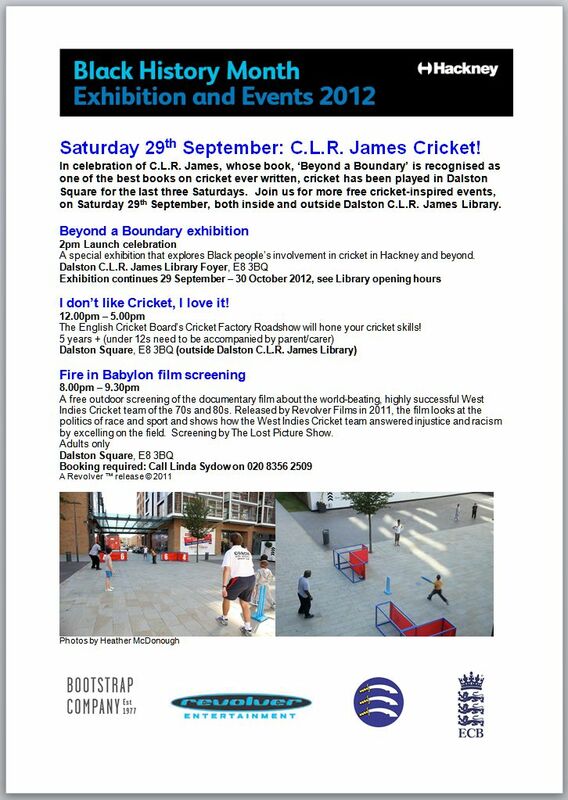 There are of course only a limited number available, and at £1850 per annum rental fees not cheap (this is though a very fair price for under-cover parking in this area), but if interested contact Richard at Richard.gordon@barrattlondon.com for details and availability. As those of you who have followed this website for a while will probably know (or the on-going thread in our discussions forum on this subject HERE), while Openreach (the infrastructure arm of BT) continue to delay rolling out their fibre to the square, Hyperoptic have been working with Barratt to offer us the super-fast speeds only fibre-optics can bring. It has been a fairly lengthy process to firstly secure enough interest from residents to make the project financially viable, and secondly get the go-ahead from Barratt to retro-fit the network cabling to the entire development, but finally this work is under way. Openreach have been contracted to bring the fibre into block basements (strange they could do it as a contractor but not as a supplier) which has now been done, where the necessary hardware will be installed to switch over to the copper that is being laid right now. In a matter of just weeks we should see the whole system ready to go live. With all of that in mind, now is the last chance you have to take advantage of the excellent deals Hyperoptic are offerings to early adopters. Free connection to the network (connecting your apartment into the building network will incur charges after the work crews have left site) and as much as 40% off of monthly fees for the first 2 years (the discount varies depending on the speed you opt for: 40% is the discount on their fastest, 1Gb, connection). 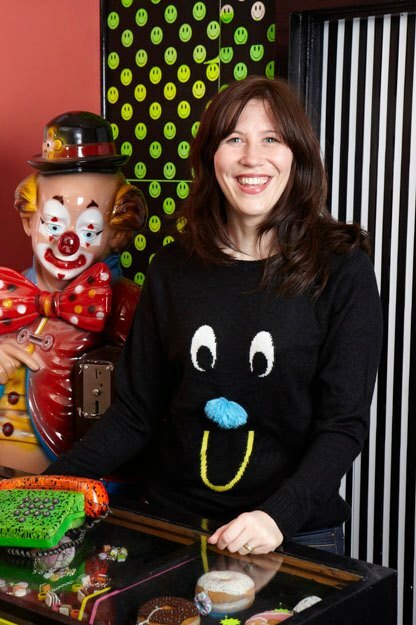 Of course there will be folk who are locked in to a contract with their current suppliers, but even then it may be worth looking in to seeing if a saving can still be made by buying yourself out of it. Full details of the offers available , along with the discount code required when registering (this code will only work for Dalston Square residents so please do not bother trying to use it if you are not resident here) can be found HERE. Also, Hyperoptic are sending their ‘Hyper-Ambassador’ Peter (not too hyper I hope – bouncing off the walls and into the furniture) here for a couple of visits next week to answer any questions residents may have regarding the service. He will be stationed in the lobby of Gaumont Tower on Thursday 6th and Friday 7th November from 4pm until 8pm. 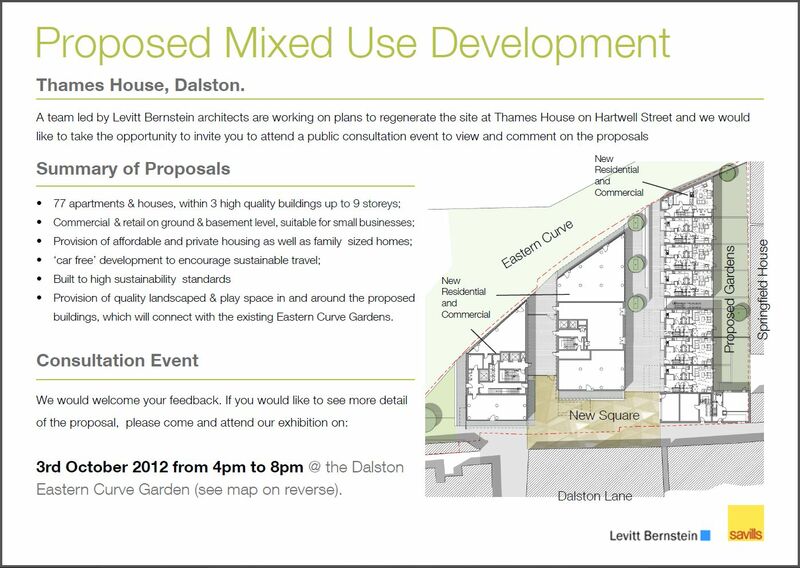 Many thanks to everyone who took the time to complete our recent survey of Dalston Square residents. The responses (both paper and digital) have now been combined and analysed, and a final report produced. And it makes for very interesting reading. Overall the responses were very positive: It seems we are very happy to be living in such a beautiful development in the heart of one of the most vibrant and diverse areas of London. There are niggles of course, it goes without saying, but these can/should be addressed without too much trouble, and the DSRA will continue to work on your behalf to ensure they are addressed. Reassuring for us was the fact that the vast majority of the niggles mentioned are already under discussion: By raising them in your responses you have strengthened our hand in these discussions which should help greatly in having them addressed and remedied. The report is available for download over at our discussions forum HERE. As I say in that posting, I will be addressing all the comments and questions made in your responses, but this will take a while to work through so please bear with me on that. And did you realise it is election season? On May 22nd we will have the opportunity to vote for our local councillors, the Hackney Mayor, and members of the European Parliament. 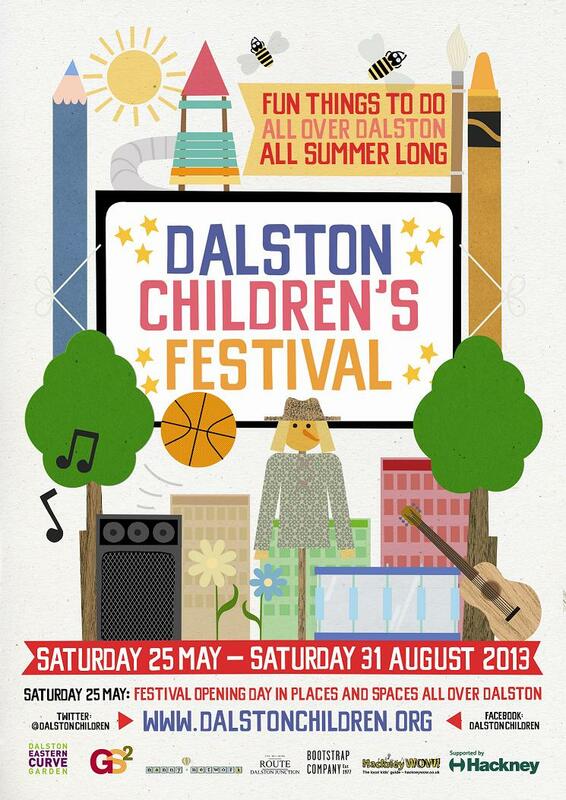 While the Mayoral and European elections are important, the primary concern for many, given the pace of change in the area, is to ensure that the local ward councillors are prepared to speak up for, and listen to and represent the views of, the communities of Dalston. 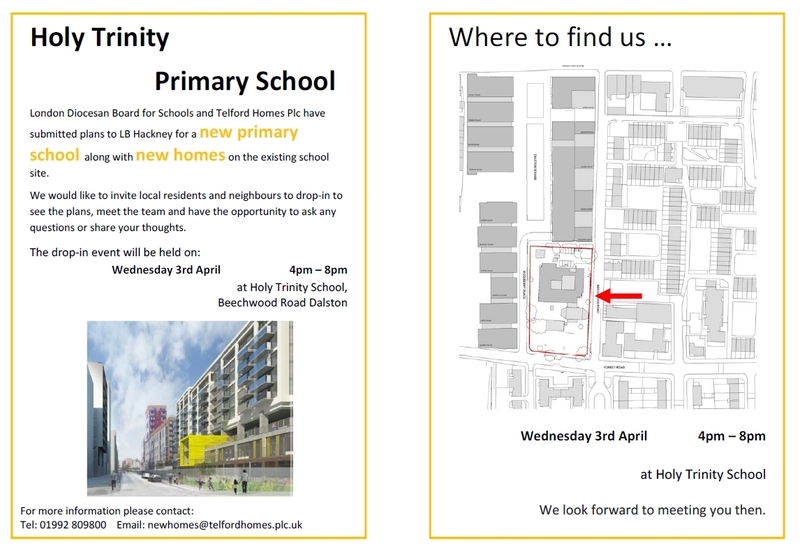 To this end, Dalston Futures (working with Hackney Unites) have arranged for local residents to have the chance to question the candidates before voting day. For full info on the multiple events they have planned see HERE and HERE. One last thing before signing off, predominantly addressed to residents of phase 1 buildings (Collins Tower through to Labyrinth), and those that visit the concierge on a regular basis: Are you noticing restaurant cooking aromas in residential areas of buildings? Unfortunately the extraction system currently in place to remove said odours seems unfit for purpose. Rather than extract them from the buildings it simply pumps them into the service tunnel that runs the full length of phase 1. Many people are noticing odours in lobbies, and after travelling up the lift shafts they can even be noticed (sometimes strongly depending on the wind direction) in the corridors of even the top floors of some blocks. 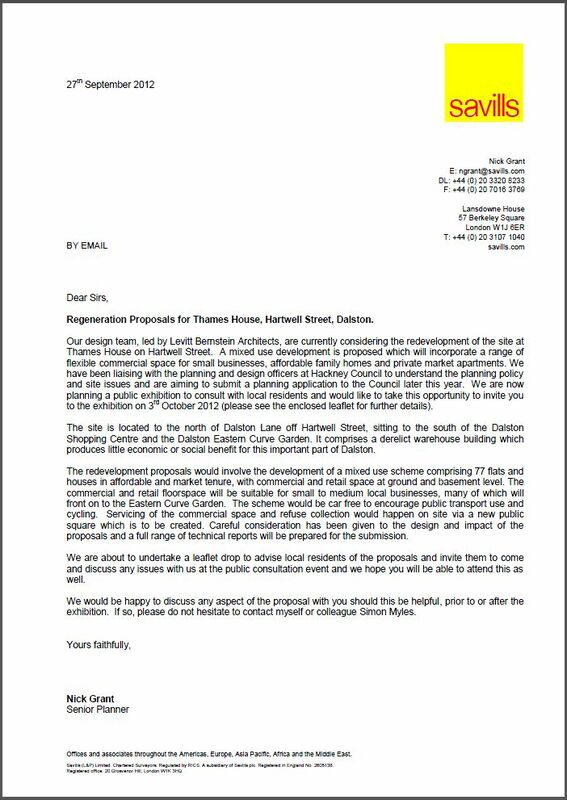 We are in discussion with both Barratt Homes and Consort regarding this matter but need your assistance to gauge the extent of the problem: While the existing system meets building regulations (according to Barratt), we feel we should not be able to smell the restaurants unless we are inside them. We have therefore agreed with Barratt that any complaints should be addressed to Hackney Council’s pollution control department for assessment. They can be reached by phone on 020 8356 4455, or preferably by email at pollutionsupport@hackney.gov.uk. With one more restaurant and warmer weather still to come this problem can only get worse so please do not ignore it, report it now.